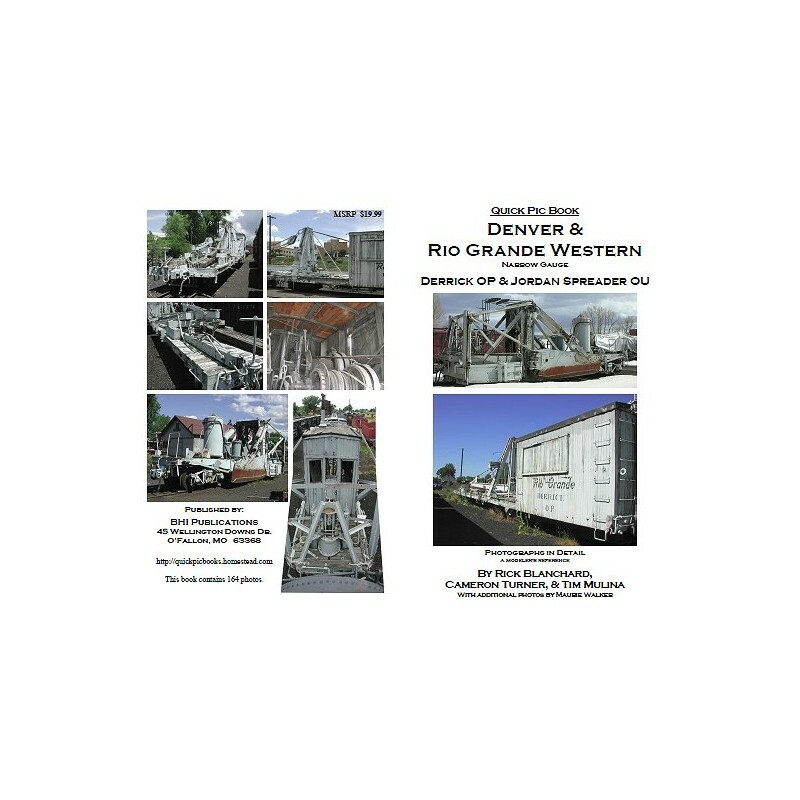 This volume shows all the details on these two pieces of Maintenance of Way equipment and auxiliary cars that were often used along with them. Because this book has two distinctly different cars in it, the sample pages below are separated into one batch of each car. 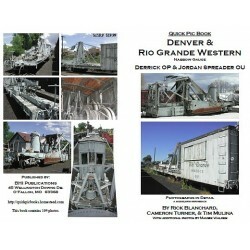 The Derrick is shown first along with boom car 06063, and then later in the batch Jordan Spreader OU is shown. was undergoing refurbishment so areas that normally are not seen were visible and those are mentioned in the captions of those particular photos here appropriate.